The Robb Blogg: Snapper Comeback! 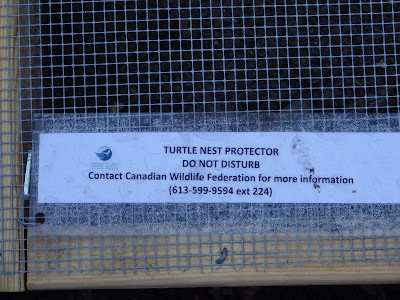 For the past 20-odd years, I've wandered the Mud Lake Conservation area looking for and counting snapping turtle nests. For the past 7 or eight years, I've noticed a huge decline in the number of nests. Where I could once find 10 to 15 nests in one area, there has only been one... if lucky. However, this year seems to be the year of the snapper comeback. Yesterday and today, I went wandering the nesting spots in the area. I spoke with 5 people and all of them reported seeing snapping turtles. Not just 1 or 2, but upwards of 10 and more at one time or in a very small region. I haven't seen a single snapper (as of yet), but there is a huge number of spots where I have seen digging. Much, much more than I have seen in a very long time. Perhaps the high water on the Ottawa River has pushed the river population up and into Mud Lake. I don't know, but I am quite happy to see this activity. It bodes well for the local population. 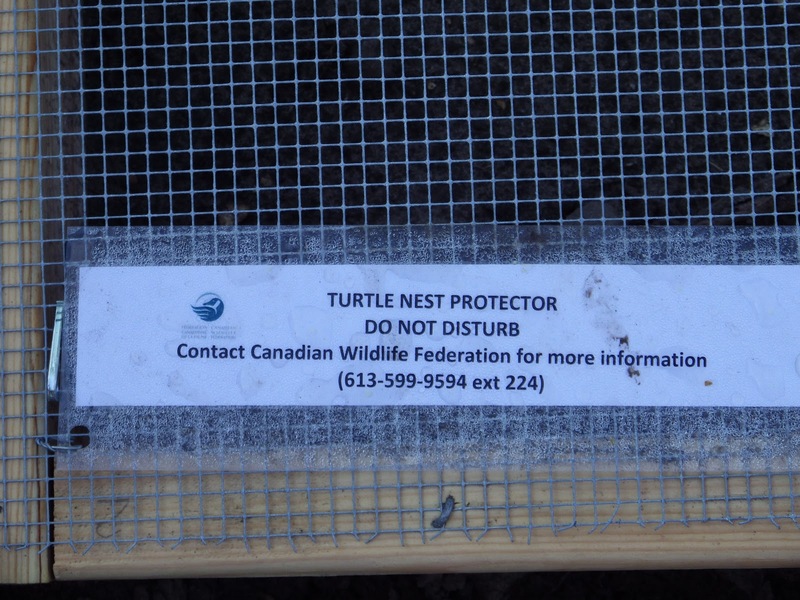 I have never seen a nest protector anywhere along this stretch, or anywhere I used to frequent. I applaud the CWF for this. But! (doncha just love a good "but"??) 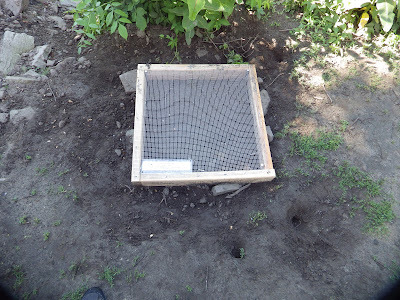 This may just keep the local racoon population from digging the nest up, BUT, it also draws the attention of a far deadlier predator. Humans. 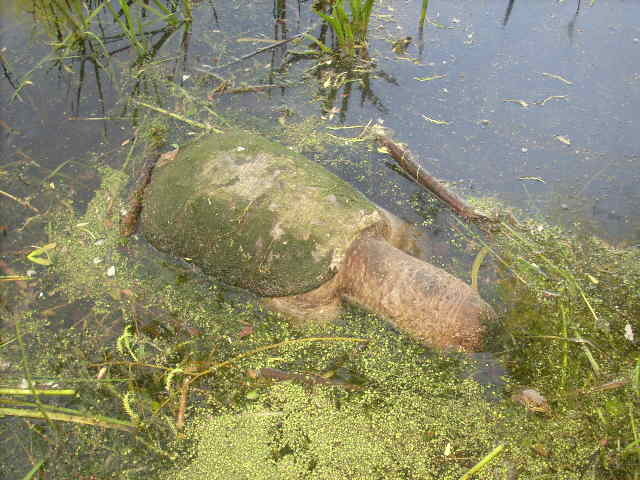 I have seen a few dead snapping turtles in the Mud Lake Preserve. Two were intentionally killed by people. This one was shot (yes, shot!) in the side of the head. At the very least, it had a hole in its head on the left side. This was back in '09. 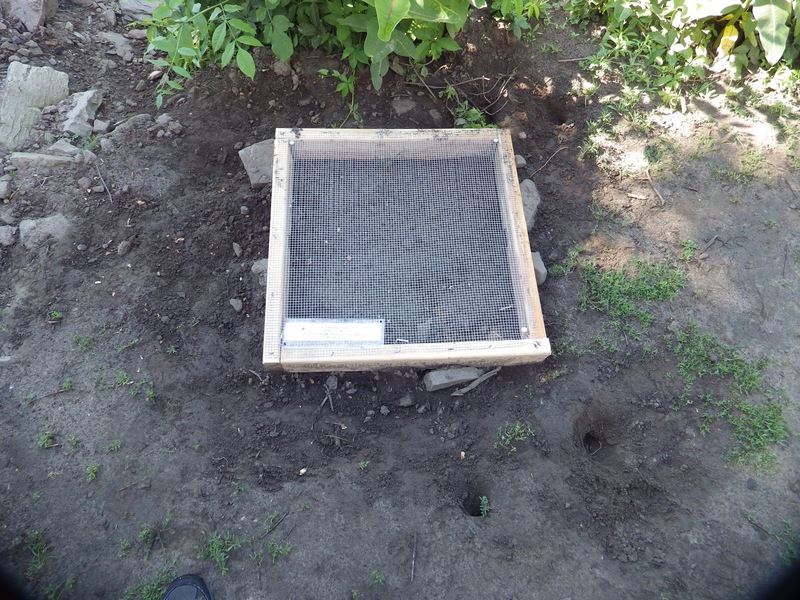 So, as nice as it is to put a protector over a nest, there are lots of folks who would dig the nest up. To just look at the eggs, to count how many there are, to toss them into the lake, to simply be mean and evil and crush them. Anyway. I, personally, am pleased to see that there are more snapping turtles around. They might just be coming back... to life, so to say! Woo-Hoo!! !